Plants with colorful foliage have always been popular, but with gardeners’ newfound interest in color, these plants are in extremely high demand. The great thing about plants with attractive, colorful foliage is that they look, show and have appeal, regardless of whether they are in bloom or not. This is all the more important for perennials and flowering shrubs that normally bloom for only four weeks or less. Purple is considered a royal color that's strongly associated with passion. People love purple-red colors and their love extends to plants as well. One need only to drive through a local subdivision to see numerous examples. One might argue that these plants are overused in home gardens, but if you enjoy them, why not grow them? Try pairing purple foliage with lime green, like Marguerite sweet potato vine and watch the colors pop. Here are selections from Tim Wood, Resident Horticulturist for Spring Meadow Nursery. Check with Proven Winners and Spring Meadow Nursery for retailers in your area. This perennial also goes by the name Bronze-burgundy - 'Atropurpurea', 'Bronze Beauty', and 'Gaiety'.Aguja reptans is native to Europe but has become an invasive species in parts of North America. When gardening, it's a useful groundcover plant. Dark purple - Zone 3 to 8, 4' to 5' tall. This towing plant grows white flower spikes in the late summer. It's an outstanding but hard-to-find ​plant that has many medicinal qualities. It's native to North America and was widely used by the indigenous population. Bronze-purple, Zone 3 to 8, 3' to 4' tall. This breed is also hard to find but beautiful! It belongs to the same genus as the atropurpurea. Burgundy - Zone 4 to 9, 15" tall. The Euphorbia belongs to the incredibly diverse spurge genus. The genus is named after the physician of the Greek King Juba. Bronze to purple - also known as 'Bressingham Purple', 'Cascade Dawn', 'Persian Carpet', 'Chocolate Ruffles', 'Chocolate Veil', 'Palace Purple', 'Ruby Ruffles', 'Velvet Night'. The Heuchera Americana is known for it's large sometimes marbled or veined leaves. Maroon purple, Zone 4 to 9, 12 to 28 inches. This eye-catching plant flowers in mid-summer. This native of Eastern North America needs moist soil and direct sunlight to flourish. Dark purple - Zone 4 to 7, 5' to 7' tall when in flower, truly remarkable plant. While many use the plant for medicinal purposes too much can make you very ill. This plant is great if you have a large space to fill in your plot. Maroon purple - Zone 3 to 7, 15' to 25', tight columnar form, great for tight spaces, next to buildings, dense foliage. These maple trees are native to Europe and Asia. They're popular for their beautiful leaves and the delicious syrup they produce. Maroon to purple - Zone 5(6) to 8, 6" to 25" depending upon variety and location, 'Atropurpureum' dark red leaves fade in summer, 'Bloodgood' one of the best for holding its color, 'Burgundy Lace' good color resists fading, fine lacy leaves, 'Garnet' similar to 'Burgundy Lace' but said to be hardier. Another member of the Maple family native to Japan. Dark purple - Zone 4 to 8, 15" to 20" but often grown as a shrub, deep purple color fades to a green purple in late summer, earlier in the south. It's native to Europe and Southwest Asia. It's a relative of the hazel family. It even produces edible nuts. Maroon purple - Zone 4 to 8, 10' to 15', 'Royal Purple' Dark purple, does not fade, 'Velvet Cloak' dark purple, resists fading, spectacular red fall color, 'Foliis Purpureais' green leaves with purple new growth. The wood of the Cotinus coggygria from Southern Europe and central Asian is often used in yellow dyes. Bronze to dark purple - Zone 4 to 7, 50' to 60', 'Purpurea' copper purple, 'Riversii' dark purple wavy leaves, 'Dawyck Purple' columnar form with purple leaves, 'Purple Fountain' 12' tall. The Fagus sylvatica is slow growing, weeping habit, others. This European Beech doesn't shed its leaves until spring. Beech forests tend to be dark because of dense leaf cover. Velvety purple - Zone 6 to 8, 18" to 24", attractive purple cast especially to new growth, small yellow flowers in early summer. While the berries of this plant are poisonous other parts of it can be used in herbal medicine. This plant is considered an invasive in parts of Australia and New Zeland. Zone 4 to 8, 10' to 15' ​Sambucus is a bold new purple leafed elder from England. These plants were once thought to be part of the honeysuckle family. Elderberries are commonly used to boost the immune system. This is a new dwarf purple leafed Weigela that forms a neat 10 to 12" mound. 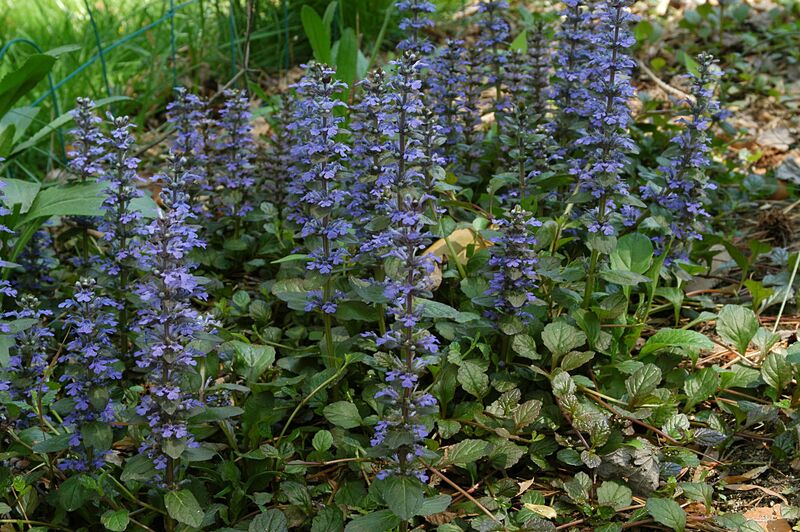 They are Great in the perennial garden, or even as a sunny groundcover. The Weigela family is named after Christian Ehrenfried Weigel a German chemist. Burgandy purple - Zone 4 to 8, 4' to 5' tall, vibrant pink flowers in late spring, leaf color intensifies in late summer. The seeds of the Weigela florida WINE & ROSES are part of the diet of many birds. Crimson Pygmy or Japanese Barberry is an invasive species that has been banned several States. The dense foliage is a great home to ticks. Some think the spread of Japanese Barberry has also helped the spread the tick-borne illness Lyme disease. The Purple Leaf Sand Cherry is a member of the Rose family. This shrub produces small cherries in the early summer. It's common in Eastern North America.